For many people drinking is something to do when friends get together. Some people drink to cope with stress and others do so because it offers them a chance to escape for a short period of time. A common thought among most people is that one or two drinks won’t hurt. The problem is when those one or two drinks begin to add up over time. The person’s resistance to alcohol gets stronger forcing them to drink more and more just to maintain a slight feeling of euphoria. The longer this type of scenario remains in place, the more likely it is that the person will begin to experience some form of addiction to the alcohol. Entering an alcohol detox program is the last thing that would cross their mind. Addiction to alcohol can sneak up on a person, leaving them confused and unsure of why they feel so miserable when they go without alcohol for a long period of time. One of the scariest things a person can experience is to realize they have become dependent on alcohol or drugs, especially when they thought their use was not excessive. The fact is, everyone develops dependency at a different rate. 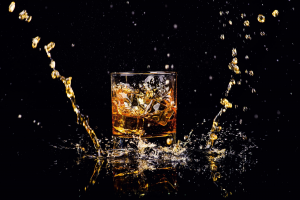 Some people may be able to consume large quantities without ever experiencing the first signs of addiction. When a person starts to detox from alcohol, they may experience night sweats, tremors, headaches, nausea and feelings of lethargy. With a person who has alcohol dependency, the hardest thing to accept is the shocking truth that they really didn’t understand that they could have a problem. Much like with drugs, women who are pregnant and use alcohol can transfer that dependency to their unborn child. Maternal forms of addiction, whether they are related to a narcotic substance or long-term alcohol use, can have a dramatic effect on a newborn infant. Fetal Alcohol Syndrome is not necessarily one of the most common issues when it comes to addiction, but it does exist. Many people who drink regularly and don’t believe that their alcohol use will affect anyone other than themselves, often get a rude awakening if they have a child and it immediately begins to show signs of dependency. Alcohol detox programs designed to help pregnant women also take into consideration the needs of the fetus while it is still in the womb. Once the problem has been uncovered, the next step is finding a treatment program that addresses the person’s individual needs when it comes their level of dependency. While addictions to drugs and alcohol are similar, they are different in many ways. Drinking socially, for example, is acceptable. The problem is that this is where many people’s problem with alcohol started. What was originally a social activity, gradually turned into a daily occurrence. If a person really wants to move past the alcohol abuse and live a healthier, more productive life, the first thing that must happen is a few positive lifestyle changes must be put in place. When going out for a night on the town, choose sparkling water or a glass of soda. If a person has forceful friends who continually try to goad them into drinking, it might be a wise idea to stay away for awhile. Detoxing from alcohol opens the door to a whole new life that allows the person the opportunity to live a happier, healthier life. Without the constant draw to alcohol, a person can begin to enjoy the little experiences that were sometimes glossed over in the past.